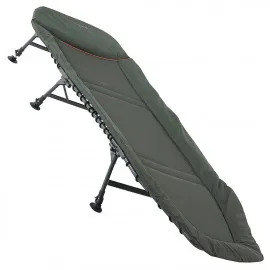 A quality bedchair really can make all the difference between a good day of fishing for specialist fish and a disappointing one. It has been scientifically proven that performance across all areas of life improves when you are well rested. 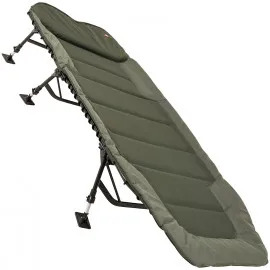 It goes to follow that a night spent on a comfortable bedchair is infinitely better for your fishing ability than a night spent slumming it in a standard fishing chair or, even worse, on the bankside itself. 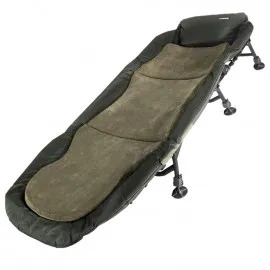 This is why we, here at Angling Direct, have worked hard to collect a range bedchairs that will ensure you wake up from your night on the bank feeling well rested and able to fish at your peak. 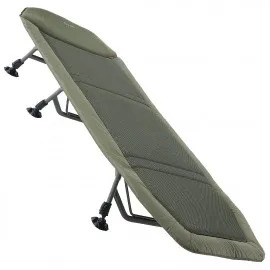 We’re passionate about specialist fishing and we know how awful it is to be lying on an uncomfortable bedchair, unable to sleep, wishing the night away. This is why we’ve ensured that all the bedchairs we sell meet our high standards. A flat lay, even weight distribution, stable base, and ergonomic mattress are all things we look out for when choosing which products to stock – so you’ll only ever find products that meet these criteria in our range. We only ever stock the best quality products, which is why you’ll see the names of top quality brands appearing time and time again on our product lists. Nash, Trakker, Fox, and Daiwa are just three brands that we trust time and time again to produce bedchairs of outstanding quality. Not only this, but we’ve also spent a lot of time designing our own brand range of bedchairs. The Advanta brand was established after we noticed a gap for certain year-round products and our range of bedchairs looks set to grow year on year. We’ve also put together a couple of incredible Advanta sleeping bundles, featuring a selection of sleeping bags, pillows, and bedchairs. These bundles represent incredible savings and are the perfect solution for the specialist angler who wants to start fishing overnighters.